During a busy work week, it’s easy to try to cut corners wherever possible to save stress and time. Often, this can mean buying lunch every day in order to avoid grocery shopping and preparing five meals per week. 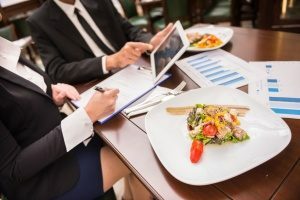 The bit of stress it saves you may be worth it during particularly busy times, but going out to eat each day may not be a sustainable way to manage your meals over time. Packing a lunch, while it often may not seem like it, can be worth the time and effort because it will save you money in the long run. Here are a few money saving reasons you should consider using a bento lunch box to bring your own lunches to work each day. What is a Bento Lunch Box? Bento lunch boxes come from Japan and are the most efficient way to pack lunches for work. These boxes are generally divided into compartments to allow you to store multiple types of food in the same container. Bento boxes also come with lids that snap on for easy storage. There are bento lunch boxes in various shapes and sizes, so it’s possible to find the perfect one for lunches and snacks, With just one box and one lid used to take your complete lunch to work each day, storing and finding the right container and lid for the job may be less difficult than before. Having an efficient, easy-to-use container like this makes packing a lunch each day a less tedious task, making them an ideal lunch container. While it’s tempting to buy lunch every day, it can cost you more than you might expect. Buying a lunch each day can cost people up to $160 per month. Packing a lunch, meanwhile, could save you between $60 and $140, depending on how expensive your takeout lunches were compared to the lunches brought from home. With that kind of savings, it’s worth it to invest in a bento lunch box to bring lunch from home. While grocery shopping more frequently may take extra time, lunches brought from home are certainly cheaper — and healthier — than lunches purchased from restaurants. The additional money saved from foregoing takeout lunches alone can be a great boost to your savings account. Think of how often you buy food and accidentally let it go bad before you can eat it, whether by forgetting it or just purchasing too much in the first place. Food waste totals about $165 million per year in the United States. Individually, this can add up to hundreds of dollars wasted per year. Using a bento lunch box can help eliminate food waste, which ultimately will help you save even more money. 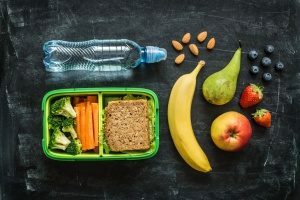 By thinking of food in terms of how much will fit in the compartments of your bento lunch box, you may end up purchasing less food, resulting in less waste and helping you save money by ensuring that you’re only purchasing as much food as you can eat — and your bento box can fit — each week. Packing a healthy lunch doesn’t have to take up too much time or money. However, it can be tricky to figure out the best way to ensure that all of your food stays as fresh as possible white it’s in transit from your home to your workplace. Sometimes, making sure that your spaghetti sauce doesn’t turn into an unintentional dressing on your apples means packing everything in separate containers. However, buying all of those containers in the first place can be expensive, especially when it comes to buying good-quality containers that won’t fall apart. A bento lunch box can solve all of these issues. These boxes allow you to store all of your food for the day in one container, making it a time- and money-saving investment to make preparing for the workday easier. You’ve heard it before: Money isn’t everything. While it’s great to save, reusable bento lunch boxes can also benefit you in other ways. First, they’re an environmentally-friendly choice. By using a bento lunch box for your meals each day, you reduce the amount of plastic bags, containers, and cutlery that you use each day, reducing your environmental impact. Bento lunch boxes can also save you time. It may save you time to pack your lunch when it can all be stored in one container, instead of taking time to search for just the right size container for each item you’d like to pack. In addition, you may save time by not having to walk to a restaurant, order, and bring your lunch back each day. This will allow you to spend more time in the office, possibly to leave for home earlier and spend more time doing more enjoyable activities. Kangovou bento lunch boxes are the ideal way to carry your lunch to work. They come in two sizes, making them perfect for any meal. They also have adjustable dividers, so you have total control over how much food you’re packing and buying for the work week. The boxes are made of food-safe metal, ensuring that your food remains free of the harmful contaminants that can occur in plastics. In addition, Kangovou’s bento lunch boxes have double-insulated walls to keep your food as hot or cold as it needs to be without transferring the temperature to the outside and making the box difficult to handle. The lid of each Kangovou bento lunch box locks tightly to prevent spillage but features snapping sides that are easy to open and close. Investing in a Kangovou lunch box can help save you time, effort, and money, making it easier than ever to bring your own lunch to work each day. Consider purchasing a small or large Kangovou bento lunch box to ensure that you have the best lunches possible from now on.